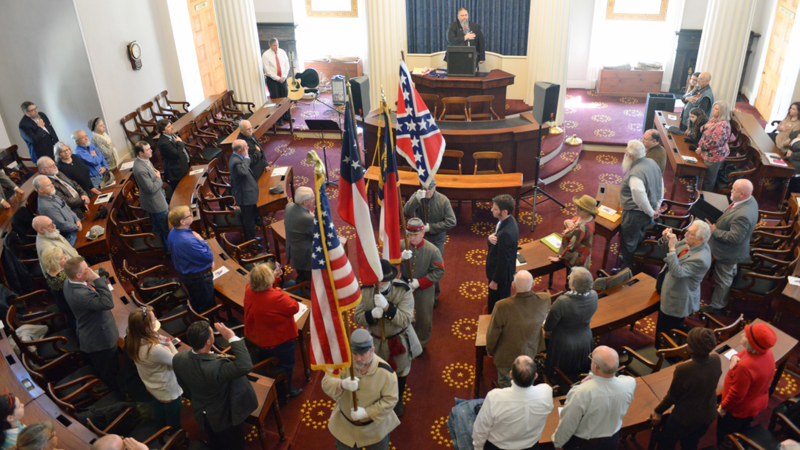 For thirty-one years the North Carolina Division of the Sons of Confederate Veterans has sponsored annually Confederate Flag Day, an event commemorating our state’s rich history and Southern heritage, held in the House of Representatives chamber of the historic 1840 Tar Heel State Capitol. First proclaimed by former Governor James G. Martin in 1988, the day has served as an occasion to host a number of major guest speakers: including former Chief Justice of the North Carolina Supreme Court Beverly Lake Jr., distinguished historians Clyde Wilson and Lee Congdon, and internationally-known authors such as Don Livingston and Paul Gottfried. For all those years, the event has been peaceful and gone off without problems. Indeed, the Sons of Confederate Veterans has been a major contributor to the programs of the State Capitol, providing funding for restoration and preservation projects, and supplying volunteers for Capitol activities. This year the commemoration, on March 2, was beset and harassed by dozens of—perhaps around seventy or eighty—screaming and frenzied demonstrators, a mob that surrounded the Capitol, shouting the vilest profanities at women and children as they made their way to and from the event, and threatening physical violence towards all attendees. Online the organizing umbrella group responsible for the demonstration was titled #SmashingRacism, a loose coalition of members of several far Left and Marxist elements centered in central North Carolina, including Antifa NC, Democratic Socialists of North Carolina, Hillsborough Progressives Taking Action, and other such groups. Given what has happened in recent months in the Tar Heel State, such a reaction might have been expected, but not on the scale witnessed on March 2. In recent months violent mobs have destroyed the monument to Confederate veterans in Durham, followed by the toppling of the “Silent Sam” monument on the campus of the University of North Carolina at Chapel Hill, a monument erected a century ago to honor university students who went off to war in the 1860s. It cannot have endeared them to the members of law enforcement attempting to maintain order—who were viewed as protecting the “white supremacists” as they tried to leave the event! You would think that local news media would have covered the event thoroughly, that 200 members of law enforcement present, most of the streets in central Raleigh closed down to traffic, and the necessity to physically protect event participants would have been a major story on WRAL-TV’s 11 o’clock news—but it wasn’t: barely a brief twenty seconds of coverage. That was it. Could it have been that the constant, very audible shouts of “Cops and Klan, go hand and hand,” and the obvious violence directed at the peaceful attendees did not make for good, politically correct television, that it did not serve the correct political slant? There was one short interview with a black man…he seemed not to have been actually a part of the demonstration. The reporter for WRAL-TV had to chase him down for his comment. And therein lies the rest of the story: the mob was almost entirely white, mostly millennials and college-aged white students, uniformly from upper middle class families. Indeed, tuition at nearby Duke University now costs nearly $74,000 a year, and at UNC at Chapel Hill the figure is equally jaw-dropping. How many average middle class parents can afford that? No doubt many of the students receive handsome grants and scholarships; and the non-students also have few worries about finances—pass-through funding reaches them via a variety of progressivist foundations, including from the myriad of George Soros-related organizations. 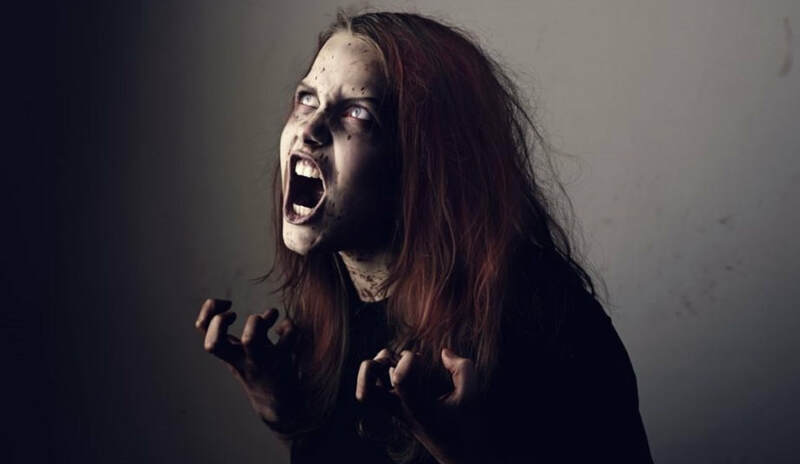 As I exited with other attendees I looked into the faces of the mob: what I observed was a very real madness, an unleashed fury, eyes filled with uncontrolled hatred—if they had not been restrained, no doubt they would have physically attacked us. To read their Web sites and their tweets these revolutionaries are consumed by “the fight against white supremacy” and against “historic racism.” Their entire existence is wrapped up in that struggle, a struggle which has become increasingly violent and which has discarded any concept of belief in “freedom of speech” or “free expression of ideas”—if you dissent from their advancing narrative, if you seek to express a different point of view, you are obviously a “racist” and a “white supremacist,” and have no right to express your views. Indeed, in reality you have no right to exist, as a grad student at Chapel Hill, the son of a upper middle class white family I know, told me a couple of years ago. 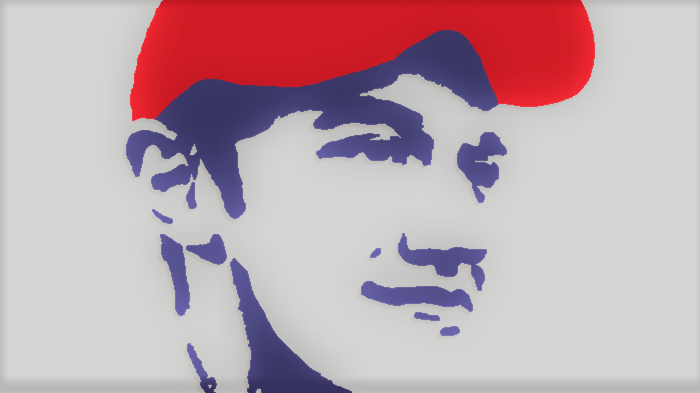 After finding out that I had voted for Donald Trump in 2016, he—let us call him Mark—informed me that his generation would soon dominate this country, and that “your generation will die out in a few years, and then we can completely change things!” His parents don’t share his university-learned opinions but seem helpless or incapable of responding. Mark’s penance, then, like that of the seventy or so Leftists who assembled outside the 1840 North Carolina State Capitol, is to accuse and assault—if possible—the rest of us who do not see what he sees, who do not understand what he understands, who do not support the burden he supports, and attempt to shut us down and extinguish any dissent from his raging ideology, the burning fire that consumes him. And in so doing, he tries to expiate his own imagined heavy burden, inflicted on him in large part by such prestigious institutions as Duke and UNC which serve as incubation facilities for frenetic post-Marxist Leftist revolutionaries. And by a culture that now facilitates and encourages that posture, or, at best, coddles it like the man who thinks he can tame an angry rattlesnake. Those angry faces—those glaring and fierce eyes—I saw on March 2 betrayed ruptured souls, corrupted and demonized, existing in a kind of counter-reality with their own set of always-advancing rules, but dedicated in a fearsome and unambiguous way to the destruction—salvation through destruction—of Western Christian civilization, of mankind as we have known it. In the end, like all incendiaries they will burn out, but their unhinged and violent praxis may well end in something far, far worse for us all. This piece previously appeared on My Corner on March 6, 2019. Confronted by such accusations almost always they run for the tall grass (to quote Patrick Buchanan) hoping that endless self-effacing apologies and some form of reparation will lessen the indelible stain, that nearly unforgivable sin which screams to the heavens. No matter if that infraction was “committed” decades ago, maybe an innocent student prank, or simply being photographed holding a Confederate Battle Flag, for instance—since our society has “progressed” forward, we now know that such actions are symbols of deep-seated white supremacy and bigotry that must be extirpated and punished severely. In America the charge of racism has become a magical talisman which, once made, is a virtual death knell for almost any public official or social figure, perhaps only exceeded in effect by the accusation of anti-semitism. It makes little difference whether the charge is true or not. Once stated and picked up by an eager-to-oblige media, it could end a career, it could forever discredit a person, and it may effectively end any platform he might have to express his views to a large audience. In effect, he would become a virtual “non-person,” a lone voice speaking to small groups of other “non-persons,” and prevented from reaching any wider audience. This is especially true of Republicans and the dominant conservative movement. In too many cases, it is the fearful conservative establishment that participates in this process: any faint or farfetched hint of “racism,” present or past, real or imagined, any deviance from the new Progressivist dogmatism that saturates our society, brings not just attacks from the Left, but obloquy and quarantine from our frightened conservative elites. To protect their right flanks and for fear of being labeled “racist,” those elites erect speech barriers and will not in any way permit or enable non-conforming and Old Right conservatives to appear on their networks or in their journals. The examples abound: National Review, The Daily Caller, Frontpage Mag, Fox News (with the notable exception of Tucker Carlson)…the list is endless. To invite the real Rightwing opposition into their forums would be an admission that these outlets are not, in fact, genuine, that they usually jump when the Left demands it, that they prefer their cocktail parties with their Inside-the-DC-Beltway Leftwing friends or Manhattan boardroom confidants…and it would only increase the innate fear they have of being labeled “racist” (or “sexist” or “homophobic,” as the case may be), as well. Of course, they will be labeled “racist” no matter what they do or say. And more’s the pity and utter insanity of it, for in their praxis, in their obeisance to the Leftist template and their implicit acceptance of its standards for participation and debate, they facilitate the continued success of this tactic and eventual destruction of what remains of the old republic. If they would stand up to the attacks, if they would reject the narrative and the ongoing template, if they would refuse its definitions and its accusations forcefully and intelligently, then the field of battle might be different, might be altered a bit. But that would require courage and a truthful examination of American history and culture, and in too many cases, a rejection of dearly held—and false—principles about equality and the American Founding that several decades ago invaded both the older conservative movement—Neoconservatism—and now dominate the Republican Party. Consider what is going on currently in North Carolina. Two examples. The University of North Carolina at Chapel Hill Board of Trustees then proposed moving the monument to a museum (not yet built) on campus. This solution did not please either the Marxist mob or those who wished the monument to be put back on its pedestal. Indeed, the North Carolina Monuments Protection Law of 2015 requires the monument to be put back in its original place within 90 days. The very strict legal exceptions to this—major road work, decay of the monument that would endanger the public—obviously do not apply in this case. Given pressure from both sides, the Board of Governors for the entire university system, having direct purview, created a special committee to come up with an “agreeable solution” for all parties. In the meantime, the head of the Chapel Hill institution, Chancellor Carol Folt, ordered the base of the monument removed as well (in the middle of the night), once again a clear violation of the 2015 law. As a result, her resignation was requested and accepted on January 31. Here then are the questions for the UNC Board of Governors: Will they also cave to small, noisy and extreme Leftist mobs of students and Marxist activists who demand the obliteration of symbols memorializing our veterans and the total transformation of our culture? Will the Board collaborate in the flagrant violation of state law by the administration of the University of North Carolina at Chapel Hill? Every indication is that they will—that they will once again direct that the monument and its base (both now in storage) be placed in a museum. And in so doing they will violate specific clauses in the 2015 Monuments Law that expressly forbid such action. Almost certainly lawsuits will follow. But what is fascinating about this situation is that most of the members of the UNC Board of Governors are Republicans appointed by the GOP-controlled North Carolina General Assembly. Most of them are big donors to the party, major business types, for whom having choice front-row seats at UNC basketball games and attending glitzy alumni events are very important, and who wish at all costs to “avoid unsightly controversies” which might get them labeled as racists and adverse publicity in the local leftist media (e.g. Raleigh News & Observer, WRAL-TV, etc.). Standing up for the majority of North Carolina citizens and for respect of and obedience to the laws of the state are apparently far less important. Like other Establishment Republicans and faux-conservatives, when the Left demands that they jump, they frantically look for a way out, and mutter beneath their breath, worriedly, “how high”? 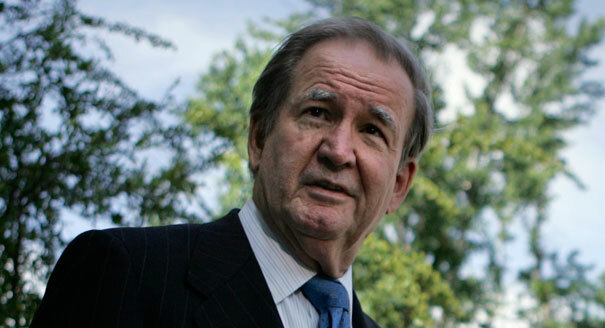 The Death of a Tarheel: Congressman Walter B. Jones Jr. The news comes this morning that Congressman Walter Jones, Jr. has died [on Sunday, February 10]. 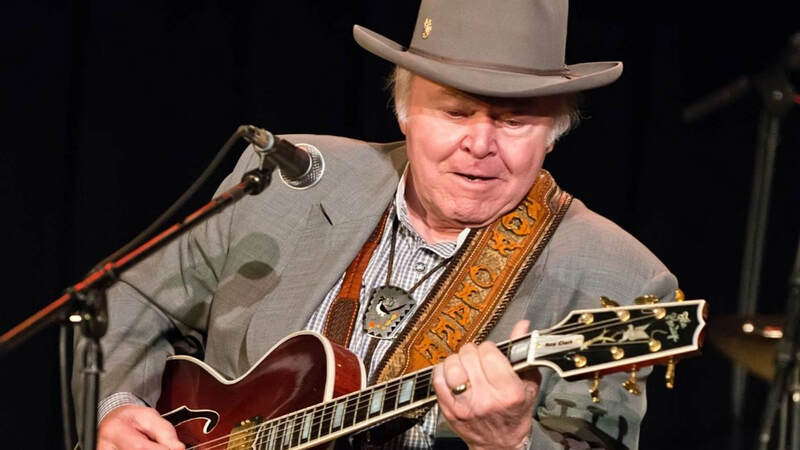 He had suffered for some time from a very serious neurological condition, and had been placed in Hospice about a week ago in Greenville, North Carolina. Representative Jones was one of--if not the--last of the old former Southern Democrat ("Jessecrat") traditionalist conservatives who left the corrupted Party of Jefferson after the Reagan-Bush years, but never was a good fit in the Neocon-directed Party of Lincoln. When his father Walter Sr, (the real last of the old Southern Democrats) passed away, Walter Jr. succeeded him in his congressional seat, and served for years as a stalwart naysayer to almost every form of American "exceptionalism" and foreign entanglement--from Iraq (he had originally supported American involvement, but then became a staunch opponent), to Afghanistan, to Syria, and opposed every every expansion of big government and affirmative action and "civil rights." He even found the "Freedom Caucus" in Congress a bit too liberal for his beliefs. Like the late Senator Jesse Helms, whom he greatly admired, he was known as "Congressman No" to his colleagues; but his "no" votes were always predicated on firm and abiding principles of statecraft, grounded in the original Constitution and his traditionalist eastern North Carolina upbringing. And he was viewed by members of both parties as the finest and most gracious gentleman in Congress. At every election the Establishment Republicans would run someone against Walter in the GOP primaries. For his stand against giving a blank check to Israel, Bill Kristol and AIPAC funded "conservative" candidates on various occasions and spent millions of dollars to defeat him. But each time Walter turned them back, and usually with massive support in his district. As a young man Walter became a convert to the Catholic Church. Years ago when I encountered him in an elevator (he was then a state senator in the North Carolina General Assembly, representing Pitt County, and I dealt with members at that time), I mentioned my own Catholic faith. I recall clearly that he responded: "I became a Catholic because I believe it to be true; but I did not become one to see it destroyed by liberalism." 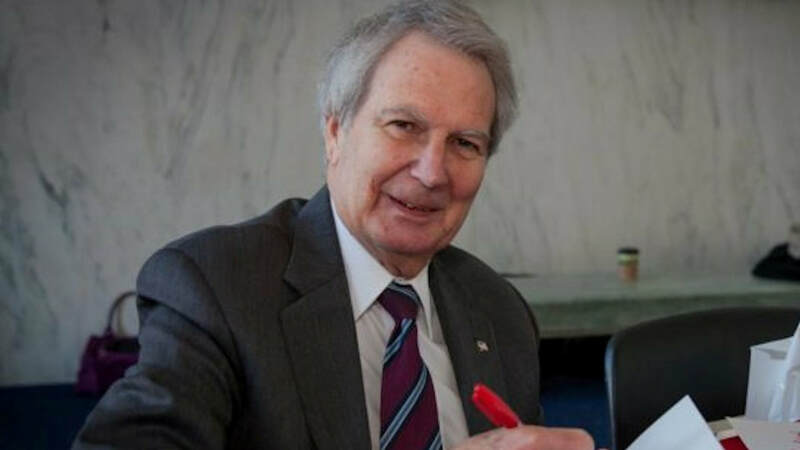 Walter Jones will be missed deeply by patriotic Americans and North Carolinians, and those who understand what this nation was intended to be. Of his like there are few left...and we are perishing because of that. I did not spend that much time watching the Senate hearings on Supreme Court nominee Brett Kavanaugh. It seemed to me, barring some late night bombshell or revelation, that the judge would be confirmed, with all Republicans and perhaps a handful of Democrats voting in favor, while the mass of Democrats would be violently opposed. Like, I suppose, most of you, I did catch the programmed outbursts of dozens of planned (the night before) protests by Senate Democrats, and then, the staged “I am Spartacus” moment acted out by New Jersey Senator Corey Booker (D), who is desperately seeking publicity to fuel his probable 2020 presidential campaign. His complaint about non-released emails and his solemn announcement that he was—drum roll please—momentously breaking storied Senate rules, fell on deaf ears when it was discovered that the night before his outburst it had been decided to go ahead and release the emails in question. Ah, but then, why spoil a publicity stunt by an aspiring munchkin, after all he must prove himself to those raging lunatics in his increasingly Left­-leaning political party. The fact that his staged stunt fell flat will be ignored by the cultural Marxist social justice warriors, who, despite its theater of the absurd nature, will nevertheless “eat it up” and see it as an example of courageous opposition not so much to the Kavanaugh or the Senate rules, as to the hated and despised President Trump. 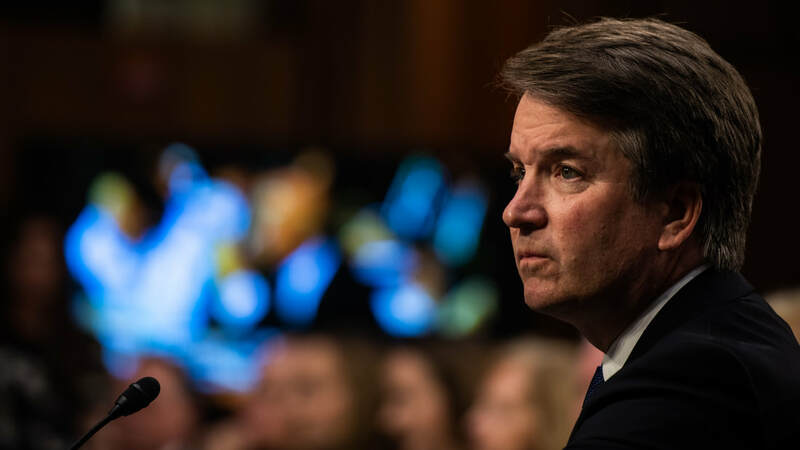 After all, they say, “Kavanaugh is his man,” and therefore, he cannot be good. But the Kavanaugh hearing was just one story dominating headlines this past week. The other major story concerned a “senior member” of the Trump administration authoring and publishing, anonymously in the far Left New York Times, an attack on the president personally and boasting that he—and a “few mainline and reasonable Republicans within the administration,” that is, what I call “semi-Never Trumpers”—had managed to deflect and, in a sense, undermine portions of the president’s Make American Great Again agenda. Of course, this is exactly what the sixty-one million plus voters who opted for Donald Trump wanted when they cast their ballots for him in November 2016: they—we—wanted a bull-in-a-china shop who would radically shake up things and overturn the status quo, most especially within the ossified and whorish Republican Party. For it is a party that acts too often like a “kept woman” always pining away and waiting for her latest assignment from her “john,” those leading personages, political and cultural, on the Farther Left who are always moving as the Italians say, “a la siniestra,” to the left, and who control the dialogue and discussion, and decide what can and what cannot be said. And like those “women of the night” establishment conservatives in the GOP—“conservatism inc.”—when summoned to jump and embrace the latest leftist nonsense, they respond only, even if times a bit begrudgingly, “how high”? Back in late 2016/early 2017 there were those of us who raised the alarm about those suddenly-converted Never Trumpers, those Neoconservatives, who had all of a sudden “found religion” and who came hat-in-hand to visit with the new president in Trump Tower, offering to “love, honor and obey ‘til death do us part.” There was the former Waffle House waitress Nikki Haley, who had cursed Donald Trump to high heaven a year earlier, all kissy-kissy—Lindsey Graham’s peace offering to the President Trump and Graham’s eyes-and-ears spy within the administration. Haley got named to the UN ambassadorship where ever since she has beat the war drums at every possible opportunity—against Russia, against Syria, against whomever her bloodthirsty Neocon handlers direct (she is, let us suggest, incapable of actually formulating her own developed ideas, but does the job of the “war hawks” on the outside of the administration). Almost singularly the stalwart Elliott Abrams, another Never Trump firebrand, actually got shot down by the president as Rex Tillerson’s candidate for Deputy Secretary of State, but only through strenuous activity on the part of certain friends I know and those who fully comprehended the danger to the Trump agenda with Abrams within the administration. And we all might remember that the president interviewed perennial nemesis Mitt Romney as a possible choice for…his Secretary of State! Of course, that fell through, thank the gods on Mount Olympus for small favors. First, Donald Trump was a self-made businessman whose word was his bond: what you see is what you get. If a man, even someone who had been in opposition previously, now pledges loyalty and fealty, “the Donald” is apt to take him at his word. Second, as a long-time businessman not that involved with or aware of the Lady Macbeth-style, stiletto-wielding, backstabbing environment known as our nation’s capital, Donald Trump did not fathom the political and factional intricacies and intrigues that dominate the cesspool along the Potomac. “Neocon vs. Old Right,” “Interventionist vs. Non-Interventionist.” Center for the National Interest vs. American Enterprise Institute. What was all that to him…as long as the candidate for a position (1) pledged loyalty and (2) appeared experienced and capable of doing the job? Third, many in the Never Trump opposition after Trump’s nomination and unexpected election success had one of those “come to Jesus” moments: they could remain outside the administration, continuing as its bitter critics and foreswearing cooperation—and some have done that: Bill Kristol, Max Boot, George Will, and others, even to the point of suggesting that they will vote Democratic in the future, anything to rid them of the hated Donald. Or, they could take their own “Road to Canossa”—in the style of 11th century Holy Roman Emperor Henry IV’s pilgrimage to Pope Gregory VII, after battling him, to make their amends and recognize his authority. The only problem is that many of those newly-minted Trumpistas have continued to profess, at least in their heart of hearts, their previous views and their determination to, as it were, bring the policies of the Trump administration “into line” with those views. And like the anonymous op-ed writer in the Times, they see it as their “moral” duty to correct the “errors” (according to them) that the president might make. Already these Neoconservative munchkins within the White House plot another incursion into Syria, supposedly at the behest of hundreds of thousands of innocent civilians in Idlib province in the northeastern region of that country. It is the last area of the country controlled by ISIS and allied Islamic terrorist groups, and its pacification is the goal of President Bashar al-Assad and his Russian allies. Yet, despite the presence of an estimated 10,000 ISIS types, we beheld this week Neocon satrap Nikki Haley at the UN, almost foaming at the mouth, threatening the Syrian government and Russia with “dire consequences” if they proceed to reduce and defeat the Islamist rebels! This was not the foreign policy that candidate Donald Trump advocated, yet it is what his appointed minions—those cooing and double-faced prior Trump-haters now in his administration--are pushing: a possibly major enlargement of the war in Syria, a war that the Syrian government has all but won, but which blood-thirsty Russophobes like Lindsey Graham hunger for, like rats after fetid cheese. There is, of course, an even larger semi-Never Trump contingent outside the administration. 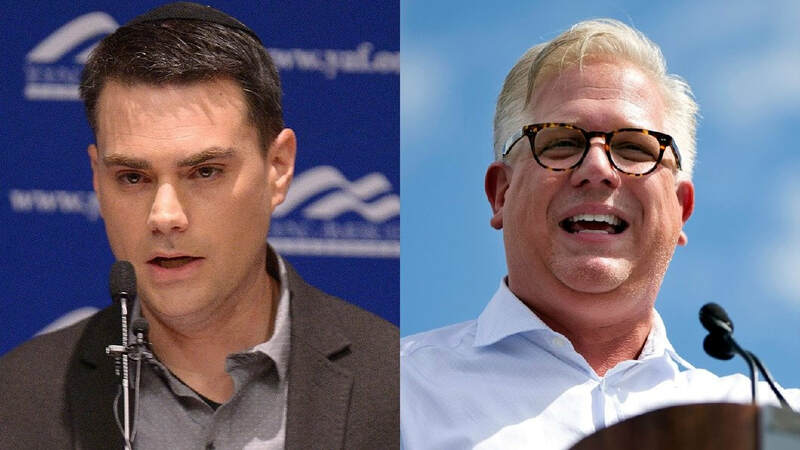 There are such personalities as “little Ben” Shapiro and Jonah Goldberg, those much vaunted commentators on Fox who see it as their solemn duty to continually attack anyone to the right of them, in order to please the dominant opinion deciders on the Farther Left. I’ve written about Shapiro, in particular, in the past: he’s the youngish semi-Never Trumper who appears most eager to climb the greasy pole of success, whatever it takes. And his praxis has been to vigorously attack anyone more traditional than he as a way to demonstrate his “anti-racist and anti-bigoted” credentials to his Farther Left friends and just how good a bloke he really is. And then there is National Review Senior Editor Kevin Williamson attacking Southerners (and others) who in any way stand up for their heritage. Many of us, alas, can remember many years ago when NR defended with intelligence and verve the South and when its writers wrote articles that identified with American traditions and the inherited legacy of Western Christendom, writers who demonstrated a willingness to defend those traditions. ​“I am never quite sure whether I am really a Southerner. Texas was in the Confederacy, but West Texas is a lot more Albuquerque than it is like Birmingham. I have never felt any sympathy for the Lost Cause. If I were building monuments to figures from that era, I’d choose Frederick Douglass, Thaddeus Stevens, or, if I’m in a mood, John Brown. “Southerners — and some conservative sentimentalists — tell themselves two convenient lies about the Civil War. One is that the Confederate cause was an honorable one, the other is that the war wasn’t really about slavery. Neither of those stands up to very much scrutiny, and the former is mostly false in no small part because the latter is almost entirely false. “There were honorable men fighting on the Southern side, to be sure, and their fight was an honorable one to the extent that risking life and limb on behalf of one’s home and people is generally honorable. General Lee is widely considered to have been an honorable military man, and so was Field Marshal Rommel. But General Lee’s cause was destroying the United States of America to facilitate slavery. The historical record, including practically every Confederate document explaining Southern separation, makes that clear enough. That the abolitionists were imperfect in their commitment to the liberation of the slaves and that there were Southern men of conscience who detested slavery and yet fought on behalf of its preserver does not change any of that. The War Between the States wasn’t about cotton tariffs. ​I wanted to quote Williamson at length because I think his admission and declaration is a clear indication not just of his mindset about monuments honoring Confederate veterans, nor even of his brand of “conservatism,” but more, one of the deeper ideological characteristics of Neoconservatives—and, yes, many of whom have now declared like the Protestant King Henry of Navarra, that “Paris is worth a mass,” and conveniently and deceptively, have changed their spots from diehard Never Trumpers to gushing and oily “supporters” of the president…and, as inveterate globalists, are quite willing to get this nation into a shooting war in Syria, if possible, and to overturn or derail the president’s campaign promises, on which he was elected, if they can do so. And they have their agents—agents of the Deep State—within his administration. It has been the biggest disappointment for those of us who were his stalwart supporters from the beginning. But we did understand that a larger-than-life figure like Trump, unblemished largely by the putrid muck of DC, also would be largely bereft of those sensitized political antennae that one really needs to have when going against the elites. We would have to depend on his instincts overcoming those cloying sycophants who had gotten to him and promised eternal fealty (with their fingers crossed behind their backs). Now, as always, that has been our hope—that Donald Trump’s sound instincts, his intuitions as he expressed them on the campaign trail, would somehow triumph over the advisors that he, himself, brought in…yes, brought in honestly as he believed their professions of faith and their resumes. And that is where I—and probably you —remain, and hope. For it may be the only current political hope we really have. This piece was originally published on My Corner on September 8, 2018.